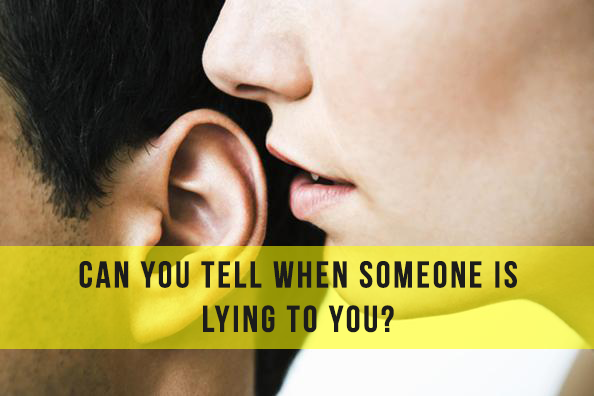 Lying: It’s generally considered taboo, yet people still do it every single day. Whether it’s a “white lie” or a “big fat lie,” people do it for all sorts of reasons, including as a means for avoiding conflict, getting ahead at something, and increasing their likability to others. It’s a part of human nature, but people don’t like to admit they do it. We lie to others, and we lie to ourselves, but no matter how much we try to understand it, the truth is… it’s not rational. And do we really want to argue that it is? Lying never gets us anywhere, even when it feels like it at the time. Here are some science-backed points about lying to help you have more honest relationships, communication, and work environments. SMORC claims that your aversion or desire to lie is based on an internal cost benefit analysis of 3 factors: the benefit you gain, the chances of getting caught, and the potential extent of punishment if you are caught. Do you believe in SMORC? Dan Ariely tested this principle in a lab and discovered that our cheating is not rational and doesn’t have a whole lot to do with a cost benefit analysis. It’s not an internal struggle with pros and cons, rather an internal struggle about how you view yourself. Someone tells you you’re a liar. What’s your immediate response? Possibly that you’re NOT, in fact, a liar. Being accused of something so wrong makes you feel uncomfortable, offended, angry. Research has found that we have two main conflicting impulses: the desire to get ahead and the desire to think of ourselves as a stand-up human being. While our survive and thrive instincts push us to consider cheating, lying, and stealing, our communal instincts ask us to be honest, kind, and authentic. Sometimes the reward for lying or cheating is higher than the desire to be a good person, which is where the Fudge Factor comes into play. When we want to lie to get our way, our brain uses rationalization and self-deception to make it seem okay; to make us feel like we’re not actually lying. The Fudge Factor is how we make ourselves feel like a good person despite the fact that we’re lying. “We cheat up to the level that allows us to retain our self-image as reasonable honest individuals,” explains Ariely. That way, we can do a little bit of lying without feeling too guilty. According to Ariely, the Fudge Factor increases when people feel distanced from consequences. For instance, when people are reminded of their past achievements—true or false—they tend to steal more because they rationalize that they deserve it. They may also feel as though they are genuinely a good person, and therefore should be allowed to steal and cheat a little. There’s also the idea that if we think we can benefit others with lies, then we will lie more. No one likes the idea of lying, but we still do it. So how can we stop even lying just a little? Thankfully there are a number of things we can do, including reminding people that they are a good person and honesty must be upheld. Honor codes are implemented to decrease the Fudge Factor because people are specifically being asked to be a good person. Documents are signed to remind people of their accountability to be honest. Taking an oath is helpful, since when you state out loud that you will be honest, you are less likely to do the opposite. People are less likely to cheat when they believe they’re being watched as well. 6. Are Liars More Intelligent? Ariely tested liars’ IQ and found that they are not smarter than non-liars, but they are more creative. In fact, the best ones are creative and strategic about both rationalization and self-deception. They are not only good at coming up with and believing in elaborate tales, but also good at convincing themselves that their lying is justified and moral. People who have already cheated can cause a downward spiral for themselves as they begin to feel like, because they already cheated, they might as well cheat more. In fact, in one study, people who were told they were wearing fake designer sunglasses tended to cheat more than those who were told they were wearing genuine sunglasses, even though the reality was that all pairs of sunglasses were identical. Even though we know lying isn’t good for us or anyone else, we still do it. But Ariely found that liars do, in fact, feel guilty. Liars who cheat more on a task, for instance, give themselves more electric shocks in a follow-up activity seemingly as a way to punish themselves for their prior cheating. If these points made you feel more uncomfortable and disturbed by lying, then perhaps it’s time to take some initiative and encourage yourself and others to stop lying and live and speak from a place of pure honesty.